If you saw my Lip Balm Christmas Tree on Monday, you would immediately spy some similarities between it and this pop-up card. 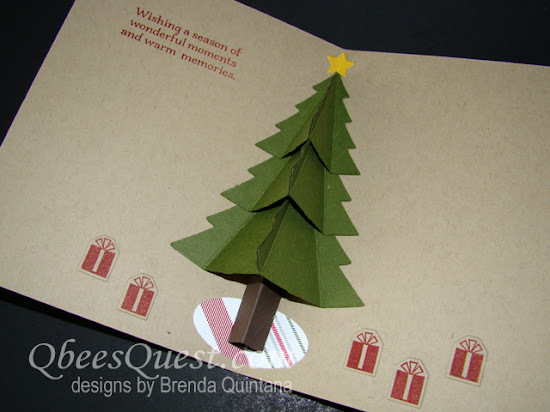 While I was working on the tree I felt strongly that I could turn the pieces into a pop-up card and I began experimenting to come up with the perfect design. 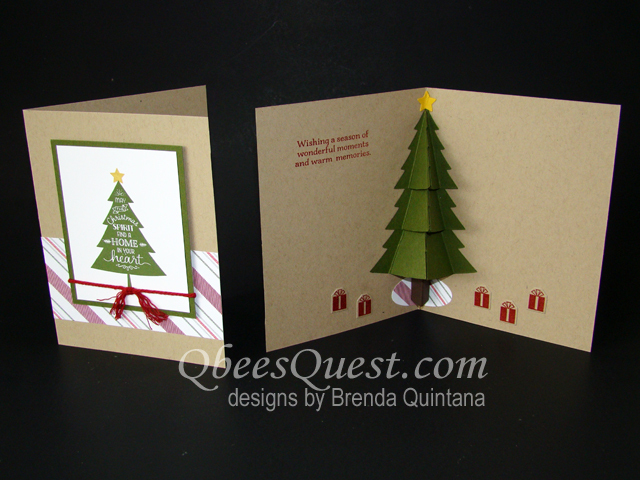 If you would like to learn how to make this pop-up Christmas tree, just follow my tutorial above. 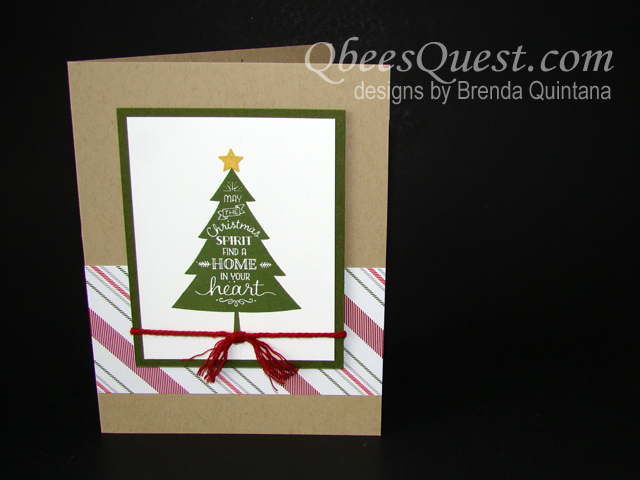 The key ingredient for this card is the Peaceful Pines Bundle. When you purchase the bundle, you save 15% over the cost of buying the stamp set and framelits individually. All the rest of the supplies you'll need for this project are available for purchase HERE! Earn a FREE tutorial from me when you place a $15 order in my Stampin' Up Store (see the choices HERE). Standard Card Base: 8-1/2" x 5-1/2", score in half at 4-1/4"
Card Front Pieces: Merry Moments DSP 4-1/4" x 2", Whisper White 2-3/4" x 3-1/2", Mossy Meadow 3" x 3-3/4"
Tree Trunk: 1-1/2" x 1", on long side score at 1/4", 3/4", & 1-1/4"